CW isn't shy about the kind of network that it is and the shows it puts on. Those shows are typically filled with lots of teenage angst, but some of their more recent hits have blended in a bit of the superhero, comic book flair. While one of their newest shows in Riverdale is more comic book than superhero, that still doesn't mean that it shouldn't get the same amount of attention. In fact, the show's in the news for casting both Jughead (Cole Sprouse) and Betty Cooper (Lili Reinhart). 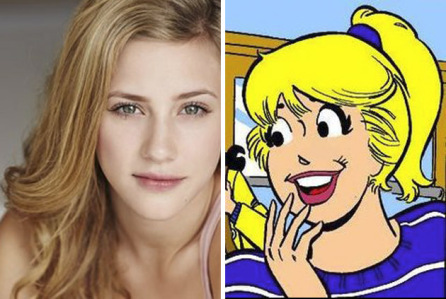 Reinhart’s Betty is described as “sweet, studious, eager-to-please and wholesome, with a huge crush on her longtime best friend, Archie.” Sprouse’s Jughead is described as “a heartthrob with a philosophical bent and former best friend of Archie Andrews.” The one-hour drama will be written by Archie Comics Chief Creative Officer Roberto Aguirre-Sacasa and produced by Warner Brothers Studios and Berlanti Productions and has been described as a subversive take on the classic Archie mythos. Greg Berlanti, Sarah Schecter, Jon Goldwater, and Roberto Aguirre-Sacasa serve as executive producers. The live-action series offers a bold, subversive take on Archie, Betty, Veronica, and their friends, exploring small-town life and the darkness and weirdness bubbling beneath Riverdale’s wholesome facade. The show will focus on the eternal love triangle of Archie Andrews, girl-next-door Betty Cooper, and rich socialite Veronica Lodge, and will include the entire cast of characters from the comic books—including Archie’s rival, Reggie Mantle, and his slacker best friend, Jughead Jones. Following up on the news that The CW officially picked up the pilot episode for the live-action “Riverdale” TV series comes word that two of the most beloved characters in comics have been cast: Jughead Jones and Betty Cooper. 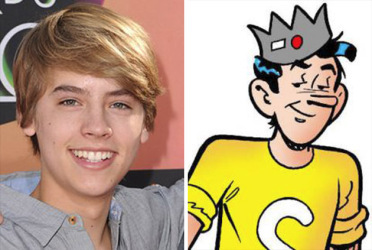 Former Disney Channel star Cole Sprouse (The Sweet Life of Zack and Cody) will play Jughead Jones in the pilot, with Lili Reinhart (Surviving Jack) playing Betty Cooper. Expect more “Riverdale” casting news in the coming weeks. 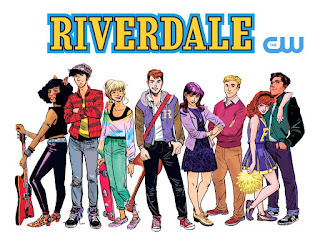 The one-hour drama will be written by Archie Comics Chief Creative Officer Roberto Aguirre-Sacasa and produced by Warner Brothers Studios and Berlanti Productions and has been described as a subversive take on the classic Archie mythos. Greg Berlanti, Sarah Schecter, Jon Goldwater, and Roberto Aguirre-Sacasa serve as executive producers. Popular gay character Kevin Keller will also play a pivotal role. In addition to the core cast, “Riverdale” will introduce other characters from Archie Comics’ expansive library, including Josie and the Pussycats. For more information about "Riverdale", visit the official Archie Comics website.